Join Sara Peternell, MNT, and Doctors Lisa Nguyen MD and Brieanna Seefeldt DO as we give new ideas for packing a healthy lunch! It's a 60-minute live interactive presentation where we'll talk about how to create healthy realistic school lunch for your kids' lunch boxes. 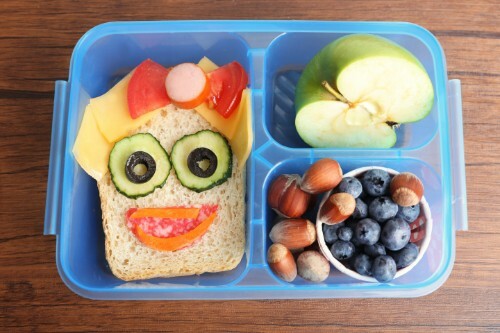 The lunch boxes ideas are all nutritionist approved and very doable in your day to day! Your kids are welcome to join - ours will be there too! - as we review and select healthy lunchbox foods that are kid-approved! Find realistic, creative AND healthy choices that cater to food allergies and all taste preferences. “5 Simple Steps for Daily Detox: Eating and Self Care Practices for Optimizing Your Health” (60-minute live presentation) at Natural Grocers, Denver. “Raising Kids with Healthy Sugar Habits” (60-minute live presentation) at Natural Grocers, Denver.